Ebola outbreaks in several West African nations forced two heads of state to pull out of a historic Africa summit with President Barack Obama, in a reminder of how crises on the continent can undermine efforts to change U.S. perceptions of it. Ellen Johnson Sirleaf, the Nobel Peace Prize-winning president of Liberia, will stay home to deal with an Ebola epidemic that has killed more than 729 people, her office said. So will Ernest Bai Koroma, president of Sierra Leone. 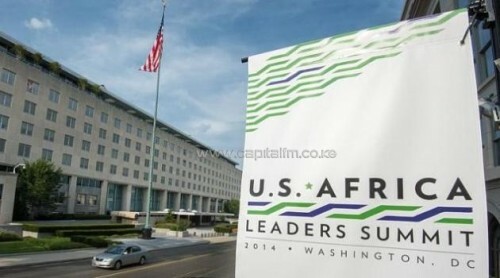 Their decisions show what this week’s U.S.-Africa summit is up against in its aim to reshape how big American companies view Africa. The meeting aims to bring business leaders into contact with leaders of the continent, home to six of the world’s 10 fastest-growing economies. Yet weak government, military and public-health institutions leave even some of the most hopeful economies looking vulnerable. Sierra Leone, a country recovering from war on the back of rich iron deposits, is a prime example. Its economy had been growing at 13.8 % this year. But then Ebola prompted the government to put workers on forced leave and ban public gatherings, moves that will likely curtail growth while showing how fragile Africa’s gains remain. Some in Washington worry that the threats the continent continues to face will overshadow the message that Africa is open for business. “If that happens—and I hope it doesn’t—it will be a tremendous lost opportunity,” wrote J. Peter Pham, Africa Director at the Washington-based think tank the Atlantic Council. Several countries are fighting Islamic insurgencies. There is only one session in the summit devoted to terrorism. And yet some presidents want to use the summit to talk up the dangers of these insurgencies, in the hope the U.S. will boost aid to their outgunned and undertrained militaries. President Paul Biya of Cameroon will spend his visit requesting assistance in quelling the Boko Haram Islamist militant group, he said in a speech Saturday. His economy is expanding at a 4.8% clip, the International Monetary Fund says, and several U.S. firms have invested in sizable agricultural projects there. But the country is also becoming a front for Boko Haram, a sect born in Nigeria that has killed thousands of civilians. Growing numbers of its victims are in northern Cameroon. Last week, the group kidnapped the wife of Cameroon’s deputy prime minister, the latest in a string of attacks on political figures. Officials worry that such attacks could flow south, into the heartland of Cameroon’s economy. “Since this is an international terrorist movement, it’s important to tackle it internationally,” Mr. Biya said. Meanwhile Nigeria, Africa’s biggest economy and most-populous nation, is bearing the brunt of the brutal insurgency. Nigeria represents a massive consumer market of 174 million people, and is Africa’s top recipient of foreign direct investment. General Electric Co. has pledged to build as much as $10 billion in new turbines. Procter & Gamble Co. recently opened its second plant there to make diapers for a population that will surpass the U.S. as the world’s third-largest by 2045, the United Nations says. But Nigeria is also spending a fifth of its budget to fight security problems, chiefly Boko Haram. This month, the country’s legislature is likely to approve a further $1 billion loan to buy yet more military hardware. Boko Haram’s war with the government has killed more than 14,000 since 2011, the Council on Foreign Relations says. As the toll mounts, Nigeria’s conversation with the U.S. becomes less about investment and more about insecurity, officials on both sides say. President Goodluck Jonathan is expected to attend this week’s summit in Washington, but he must balance sales pitches for his economy with the discussion on how to combat Boko Haram.